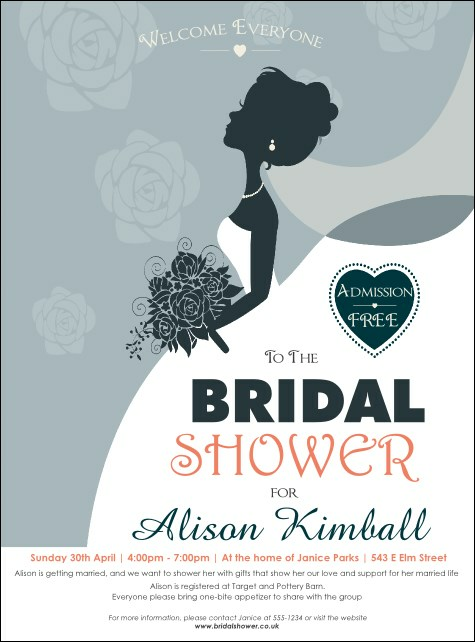 Promote something new and something blue when you advertise your wedding event with the Bridal Flyer. A periwinkle background with light blue flowers in the back form a beautiful frame for the profile of the bride, front and center. Pink and blue text announce all your details on this elegant template. Find the right flyer for your special occasion at UK Ticket Printing.